Leatt is an indication of commitment, passion and dedication. It shows the sector that you are eager about your sport and, on the subject of safety, you do not settle for half-measures. It is a badge of honour. A call. 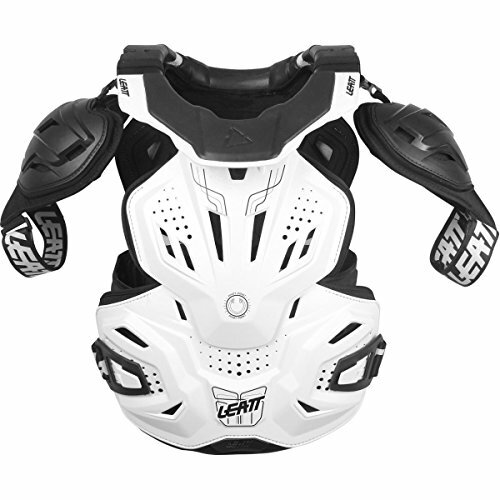 Any other innovation from Leatt, the primary combination neck and torso protector for Adult riders. The Fusion vest 3.0 CE certified neck and CE certified body protection addresses the truth that riders are very vulnerable to chest, flank, shoulder, back and neck injuries. Leatt’s world renowned neck brace technology was once invented by trauma surgeon, and motorcycle racer, Dr. Chris Leatt. The Fusion couples this award winning neck protection with new, affect soaking up, 3DF foam technology to create a at ease and well vented higher body protector with out a competitor. Side entry design way there’s no gap within the front protective plate further helping give protection to rider’s prone chest space.